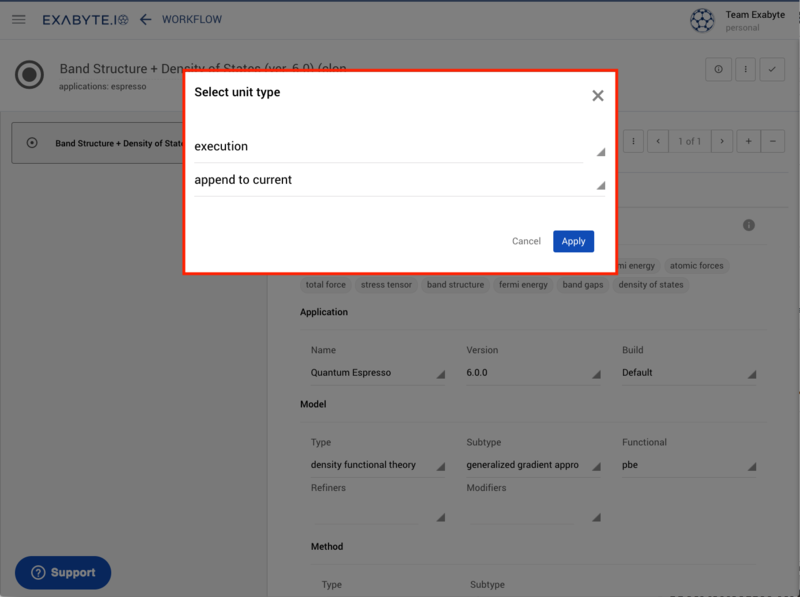 At the bottom of the "Overview" tab page within the Subworkflow Editor interface, under the section titled "Units", the user can inspect the units flowchart offering a graphical representation of the subworkflow under consideration. Each unit included in this flowchart represents a distinct elementary unit computation, which can be mainly of purely logical (eg. "if" condition) or simulation (eg. ab-initio calculation) nature. The former category is further is narrated further in its dedicated page. In the above image, the user can notice that each unit box has a number indicating its order within the overall flowchart sequence on its top-left corner. Moreover, the type of the unit is itself labelled on the bottom-left corner of each box (for example "E" for execution unit). At the top-right corner, an "X" button is offered to delete altogether the corresponding unit from the flowchart sequence. The currently selected unit is highlighted in color. Units can be selected by clicking on it. See "Opening the Unit Editor" below. Each unit box is clearly labelled with the name of the elementary computation that it implements. For example, "pw_scf" is the name for a unit shown in the visual above. Clicking on each unit box component of the flowchart allows the user to open the corresponding Unit Editor interface, and to inspect directly all the various input parameters and input file templates of the underlying unit elementary computation. The user is referred to this part of the documentation for a detailed description of this Unit Editor interface.